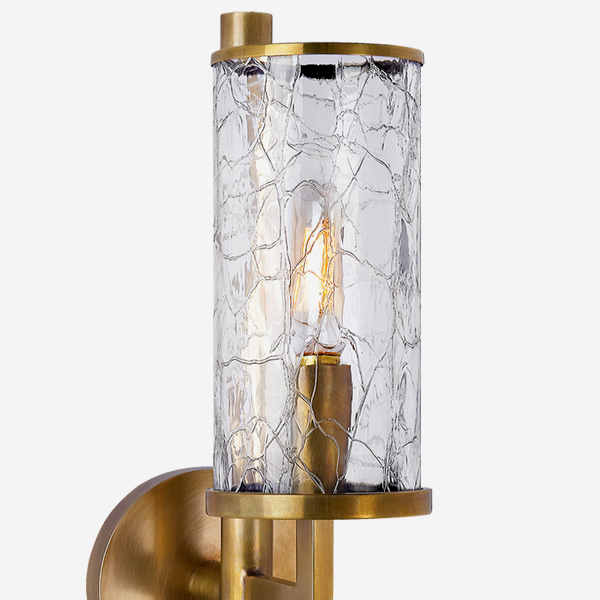 An elegant wall light in antique-burnished brass with a cylindrical, crackled glass shade. 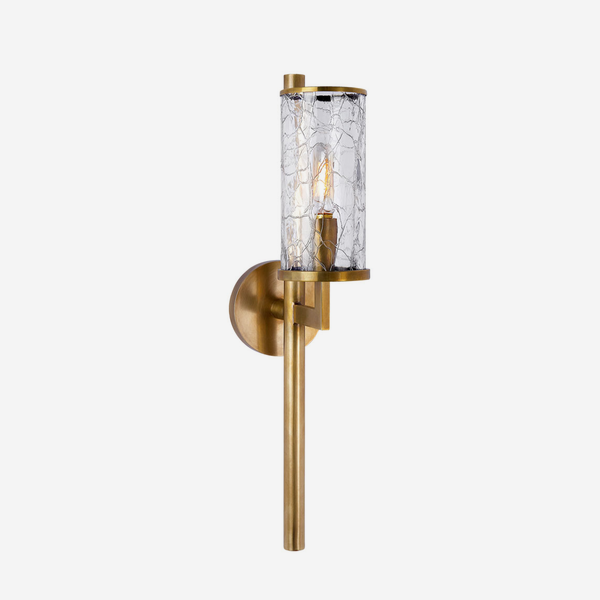 Designed by Kelly Wearstler, this light epitomises her luxury style with a contemporary twist. Best in a pair on either side of a mirror or picture frame.